Kindergarten & 1st Grade -Kindergarten and 1st grade basketball program is offered on Saturdays starting January and runs for six weeks. Registration for K-1 will be available starting in September and endsin December. The program is run as a camp for the first 5 weeks with games the 6th week. Times for the program are typically Saturday mornings or afternoons, depending on gym availability and number of players registered.. All sessions are usually at Rutherford Elementary, Stillwater Jr. High School or Oakland Jr. High School. 2nd Grade -These leagues are divided into a 2nd grade boys and 2nd grade girls league. These leagues will play 3 on 3 games meeting once per week. The first half of the meeting will be a practice and the second half a game. Coaches will be on the floor during games and act as coaches and referees. The emphasis of these leagues will be on skill development, rather than competition. Coaches should focus on teaching the basics of the game, drills and games that the kids can use at home to enhance their skills. 3rd-6th Grade Boys- This program will consist of one practice and one game per week. The games will utilize paid referees, time clocks and scoreboards. Coaching emphasis will continue to be on "development", rather that "winning". Standings will be maintained and there will be a season ending tournament. Games on Saturdays. 3rd-6th Grade Girls - This program will consist of one practice and one game per week. We will be playing against teams from Woodbury Athletic Association (WAA) and East Ridge Athletic Association (ERAA). 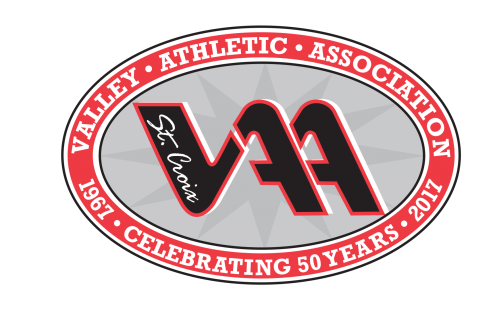 Games will be on Saturdays at Stillwater area schools and Woodbury schools. New rules and play time sheets will be introduced this year. Grades 7/8, 9/10, 11/12 - These grade levels will be practicing 1 night a week and will play games on Saturday or Sunday in the EMRL (East Metro Rec League). The games will be played within the Maplewood Rec League, which includes teams from White Bear Lake, Mahtomedi, Woodbury, Oakdale, Cottage Grove, etc. For SCVAA teams at ALL levels, playing time will be allocated equally. That is, playing time will shared evenly by those players that attend practice and demonstrate respect, sportsmanship and an effort to play to the best of their ability, in an effort to improve their personal skills and team chemistry. Skill level is NOT a factor in allocating playing time.